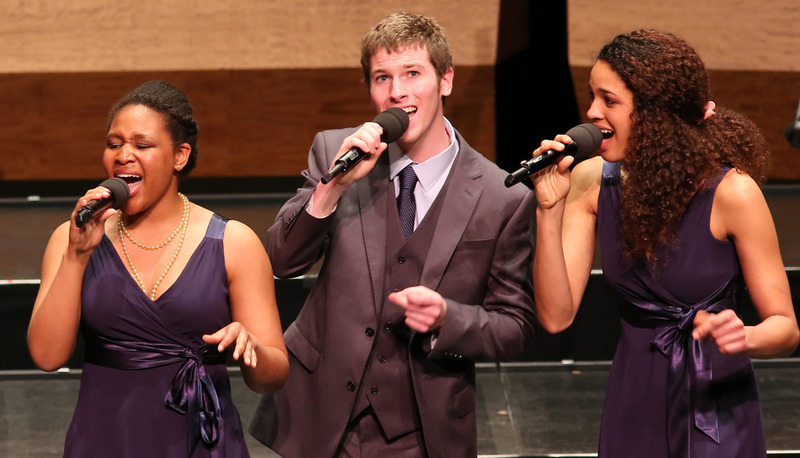 Hosted at the world-famous Symphony Space, the NEW YORK CITY JAZZ FESTIVAL is designed to give instrumental and vocal jazz ensembles the opportunity to perform as part of a ticketed daytime performance, receive comments from a panel of vocal and instrumental jazz experts, have a private clinic with one of them, and attend an evening performance of select professional and amateur musicians. Past professional collaborators have included Kurt Elling, The Real Group, Janis Siegel, Jennifer Barnes, Bob Mintzer, John Fedchock, Duane Davis, Greg Jasperse, Pete McGuinness, Darmon Meader, Paquito D'Rivera, Rosana Eckert, Jeff Jarvis, and New York Voices. For information about participation and pricing for the New York City Jazz Festival, click below.